To and Debbie Prichard purchased the third house built in their Bellevue subdivision. Just a year and a half later, they are getting ready to welcome dozens of new neighbors. 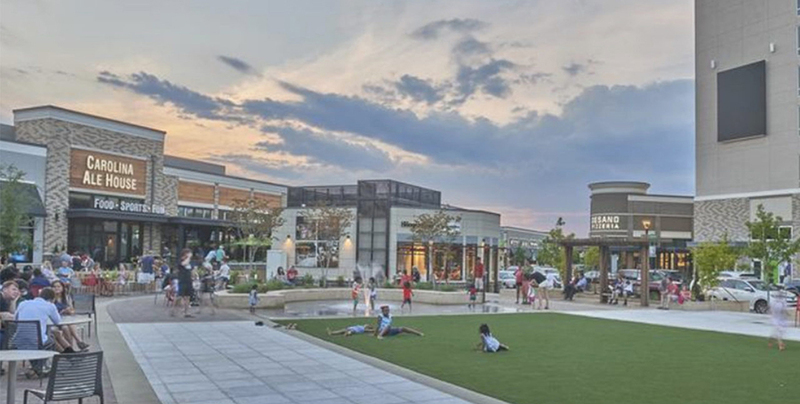 Bellevue, the sprawling suburb on Nashville’s west side, is preparing for rapid growth. More than 100 homes are planned in Travis Trace, the neighborhood close to Interstate 40 where the Prichards live. The old Bellevue Center mall is being redeveloped as One Bellevue Place, a mixed-use center with new shopping, dining and entertainment opportunities as well as hundreds of luxury apartments and carriage houses. “We get to see the daily progress,” Tom Prichard said of the changes in Bellevue. The Jones Co., the home builder that constructed the Prichards’ house in the Travis Trace subdivision, is preparing to build 109 additional homes in the neighborhood over the next couple of years. “If we had the houses (today), we could sell them all,” said Jen Lucy, the company’s director of sales. Construction of new homes lagged as the area recovered from the May 2010 floods that damaged homes and businesses across the city. Now demand is growing again, she said. Prices in Travis Trace start in the mid-$300,000s. All homes have three-car garages. With a location off I-40 at McCrory Lane, Travis Trace appeals to both downsizers who want a “golf cart lifestyle” as well as commuters, she said. “There are people excited about the mall. They see it as a forward step and want to get in before it (the market) gets hot again,” said Lucy. The first residents are expected to begin moving in this July at Crescent Bellevue Place, the 337-apartment development being completed by Crescent Communities and Pearl Street Partners at the new One Bellevue Place mixed-use center. Residents will be steps away from shopping, dining and entertainment, said Khris Pascarella, principal of Pearl Street Partners. “They can walk out the door and go to a movie, go to Sprouts,” the natural foods grocery store, said Pascarella. One Bellevue Place is being developed by Crosland Southeast, the same company that developed the popular Providence Marketplace in Mt. Juliet. The mixed-use center, located at the interchange of I-40 and Highway 70, will feature 375,000 square feet of retail, dining and entertainment space, a hotel and senior housing. One Bellevue Place will include a 120,000-square-foot community center with an ice skating center operated in partnership with the Nashville Predators professional hockey team. The Predators and the city have a similar arrangement at the Ford Ice Center in Antioch. The old mall, which opened in 1990, closed in 2008 and was demolished in 2015 to make way for the new development. 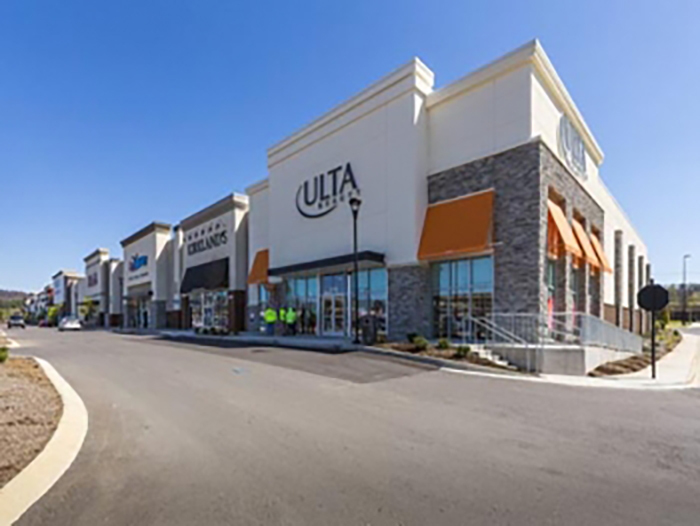 Pascarella sees interest growing in Bellevue. Crescent Bellevue Place is signing 15 to 20 leases per month. “It’s a value proposition. Rents are significantly less and a 15-minute commute at rush hour. Go to Mt. Juliet (on the east side of the city) and it’s 45 minutes,” he said. Crescent Bellevue Place features one-, two- and three-bedroom residences as well as carriage houses designed with the privacy of a single-family house in mind. The three-story apartment buildings have elevators, and the residences have large kitchen islands, soft-close drawers and custom cabinets. Monthly rent for the apartments ranges from $1,200 to $1,999. One Bellevue Place appeals to a broad demographic, including downsizing empty nesters, young families and city dwellers “who want to get out of downtown. They love the serenity” of Bellevue, said Pascarella. For the Prichards, Bellevue is the perfect location. She commutes to Dickson and he drives to MetroCenter. Travis Trace is in the middle. In the evenings and on weekends, they can enjoy the quiet of the suburbs or go downtown, where they enjoy shows at Schermerhorn Symphony Center and the Tennessee Performing Arts Center.